It has been over two years since I discovered Diatomaceous earth. I originally used it to natuarally eliminate pinworms in my daughter and it worked great! I decided to research diatomaceous earth (DE) and discovered the many health benefits of diatomaceous earth. 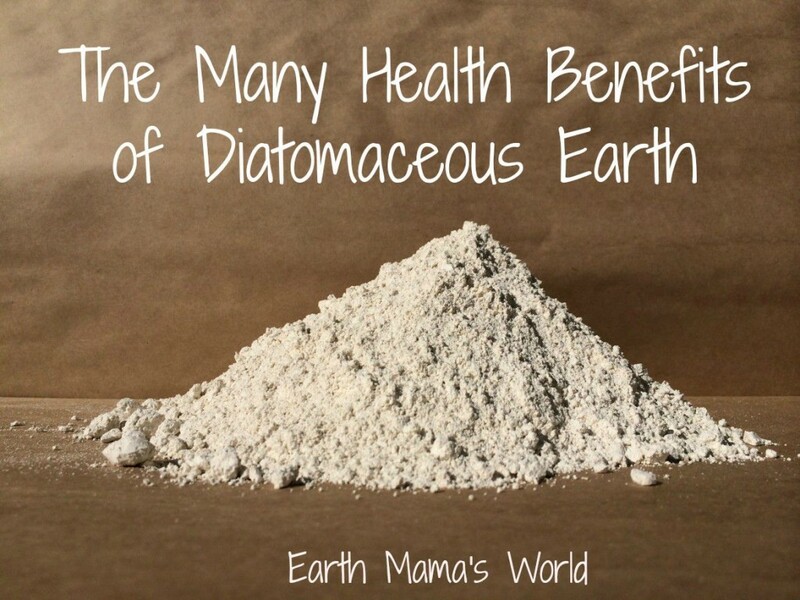 Our entire family takes it daily in our smoothies and we are enjoying the health benefits of diatomaceous earth. If you are just discovering or beginning to read about diatomaceous earth (DE) you may be wondering what the heck it is. Well here you go…..
You now know what diatomaceous earth is so it is time for me to share with you why you should be taking it everyday! 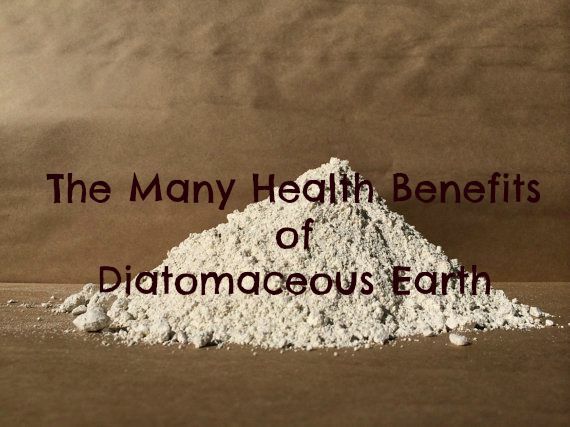 Diatomaceous earth has many health benefits so let’s get down to it. Food-grade DE is composed of approximately 89% silica. Silica is a very important trace mineral. Our modern-day silica deficiency is due to modern farming. Prior to modern farming practices, which depleted the soil, we ingested silica through our food. Diatomacous earth provides our body with silica which is extremely beneficial to tendons, cartilage, blood vessels, and bones. Pretty much every vital organ benefits from silica including the liver, lungs and heart. Diatomaceous earth is great for your skin! The silica found in DE is crucial for the production of collagen which improves skin tone, the health of your joints and tendons, and it is great for your hair and nails! DE’s natural silica content is great for healthy skin, teeth, hair, and nails. Diatomaceous earth is abrasive because it is very hard. Because DE is very abrasive it is a wonderful skin exfoliator and toothpaste additive. I am replacing the baking soda in my remineralizing tooth powder with diatomaceous earth and I think I will do the same in my deodorant. DE is also awesome for you gut! The amazing abrasive quality of DE cleans out our digestive track. I know from experience that it is totally capable of removing parasites from the digestive tract. DE may also aid in removing toxic metals, such as mercury, from your body. It is also able to flush out viral, fungal and bacterial pathogens. DE also helps to flush out yeast (Candida) and pesticide residues – how can you not add DE to your diet?!? I know, I know, I’m getting excited here. But there are so many amazing health benefits of diatomaceous earth that I want to share them with everyone. I have also read that diatomaceous earth is good for your heart and waistline as well. Many claim that DE has helped lower cholesterol benefiting the health of the heart. Some people also report that drinking DE mixed with water before a meal makes them feel “full” causing them to eat less therefore helping with weight loss. My family takes diatomaceous earth daily to include silica and minerals in our diets. We have all experienced many positive health benefits since taking diatomaceous earth. We also use it around the house but I will save that for another post! There are a few cautions that I would like to mention if you are planning on obtaining and using DE in your home. First, make sure to purchase only food grade diatomaceous earth. 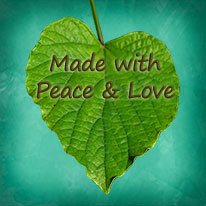 I buy in bulk for my family and share it in my Etsy store. You can also buy food grade DE over at Amazon . Second, do not inhale DE. I have read multiple times that you should not inhale it. I have researched the why part and the answers have not been so clear. I did read over at a State of Oregon document that inhaling DE is no more harmful than inhaling dust but I don’t take any chances, I don’t breathe it in. Oh, I almost forgot to share HOW much we take every day. I will share but please know that I am not a doctor and am only sharing how my family takes DE. It is important to start slowly as DE will begin to detox your body. We started at a teaspoon a day, followed by a teaspoon twice a day. My kids still take a teaspoon or two a day while I take up to 2 tablespoons a day. As I mentioned I add it to our smoothies but you can also mix it with water and drink it. Please know that it will not dissolve in your water so drink fast so it doesn’t end up at the bottom of your cup! Please please please remember to only use FOOD GRADE diatomaceous earth. You can purchase it in my Etsy store or over at Amazon . Do you use DE in your diet, if so how? There are so many uses for DE, I think it is a must have in any home! Which one do you recommend buying?? Just a quick question, do they also get rid of the pin worm eggs inside the body? Jas, she has a great blog on this, and does recommend using DE for that. I am going through this right now. I pray you don’t, but if you do, the blog is helpful and supportive. Blessings to you! Can a 10 months baby can drink these? I wouldn’t; it’s awfully abrasive on the digestive system and I would be afraid to do any damage to such a fragile little system at that age. It’s not been thoroughly studied for toxicity in humans when ingested. I’d err on the side of safety if I were you. Thank you so much for this information! Do you know if this is safe to take while breastfeeding? I am trying to treat pinworm and want to use every possible strategy!! Thank you!! I can only share my experience…I did use it while breastfeeding Audrey. Good luck! !